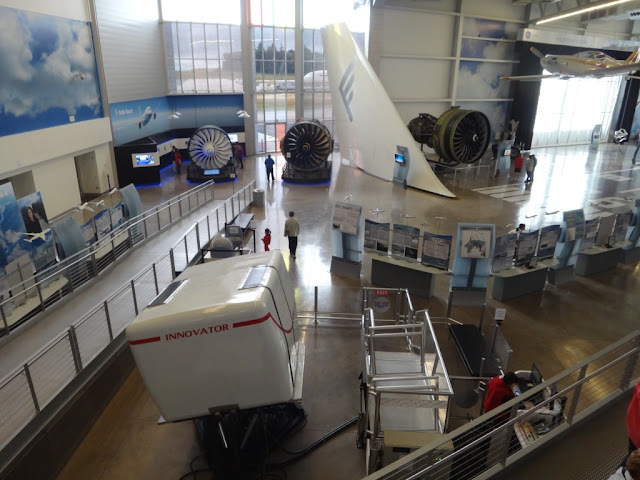 Photograph 1 - Inside the Boeing Factory "Future of Flight" building, Everett, Washington. The vertical stabiliser in the background is an actual item from a 747 original series that has flown many hours across the world. 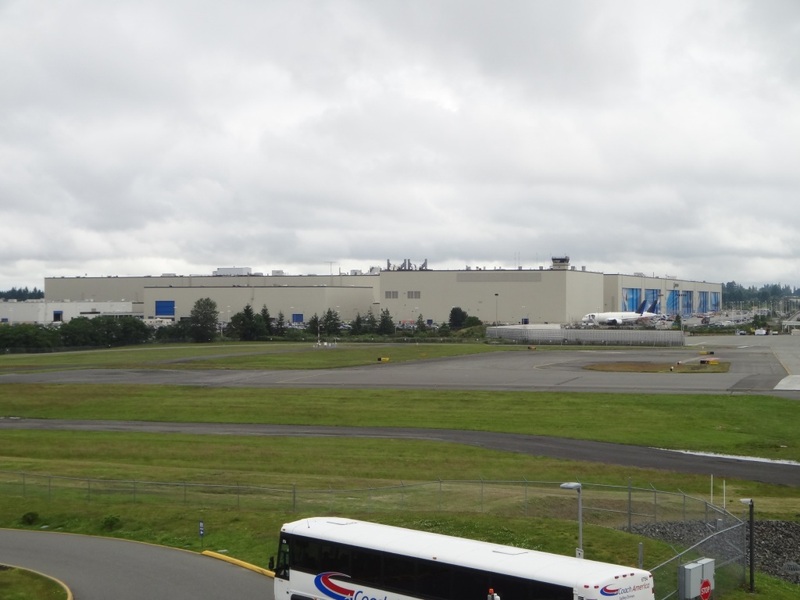 Photograph 2 - The world's biggest building (in volume), the Boeing Factory at Everett, (near Seattle) Washington. It looks small from where the photo was taken, however, inside is massive. 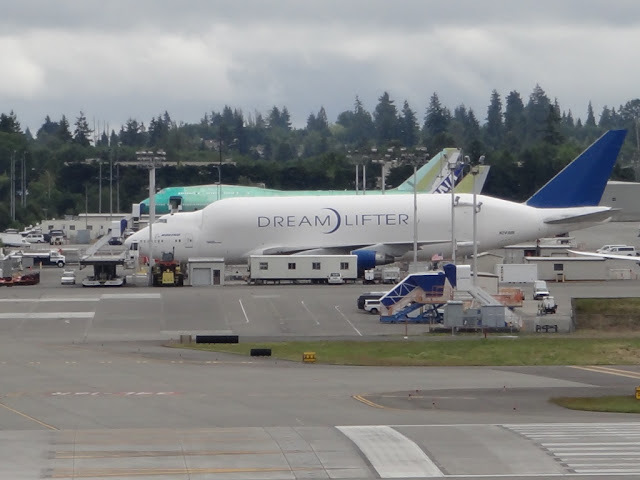 Those are brand new $300M USD 787 Dreamliner aircraft parked in front - probably for ANA or Japan Airlines. Photograph 3 - A Dreamlifter aircraft at the Everett Boeing Factory. There are only four in existence. They are used to convey large aircraft parts from other factories around the world. 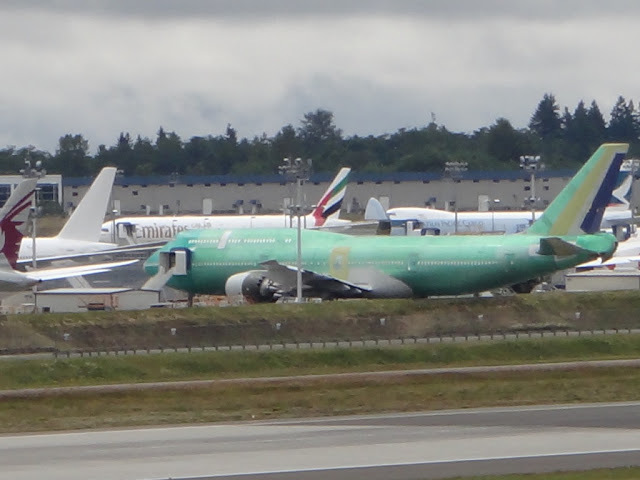 Photograph 4 - A brand spanking new Boeing 747-8 waiting to take the green preservative off before painting. At the Everett Boeing Factory. 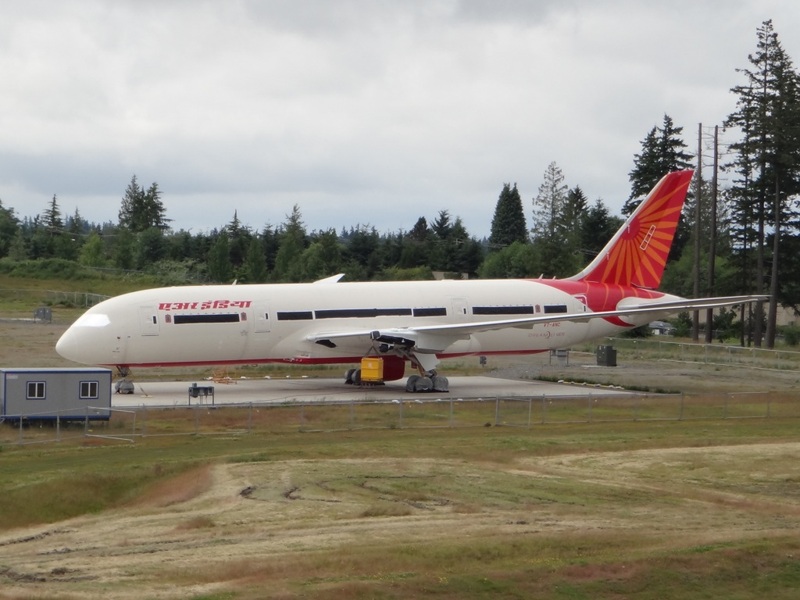 Photograph 5 - A new Dreamliner Boeing 787. It appears to be waiting for engines. These aircraft are 50% made from composite materials (plastic in other words). This material is lighter and much more fuel efficient. The important aspect inside this aircraft is more leg room for passengers.....we are yet to see this! At the Everett Boeing Factory. 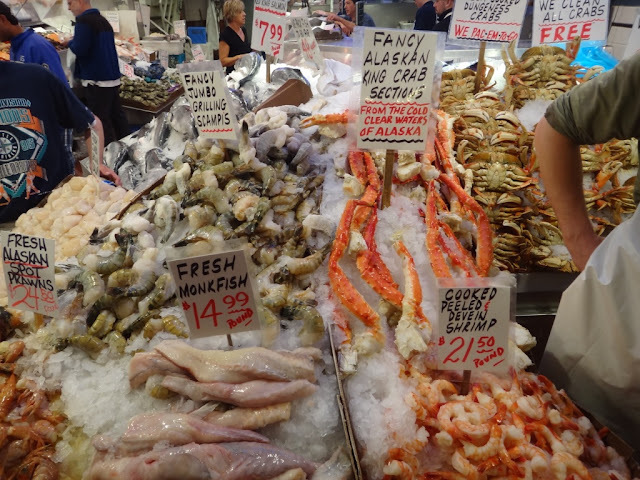 Photograph 6 - In the Seattle Food Market. Being a Saturday the market was packed out with people. 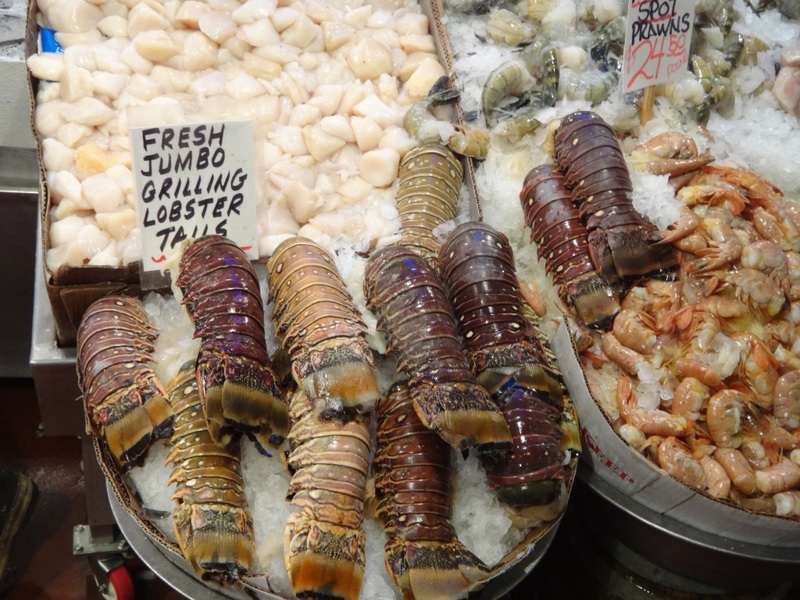 This is some of the delicious seafood on offer. Photograph 7 - Same as above. The lobster tails were huge! Photograph 8 - Basically the centre of Seattle. 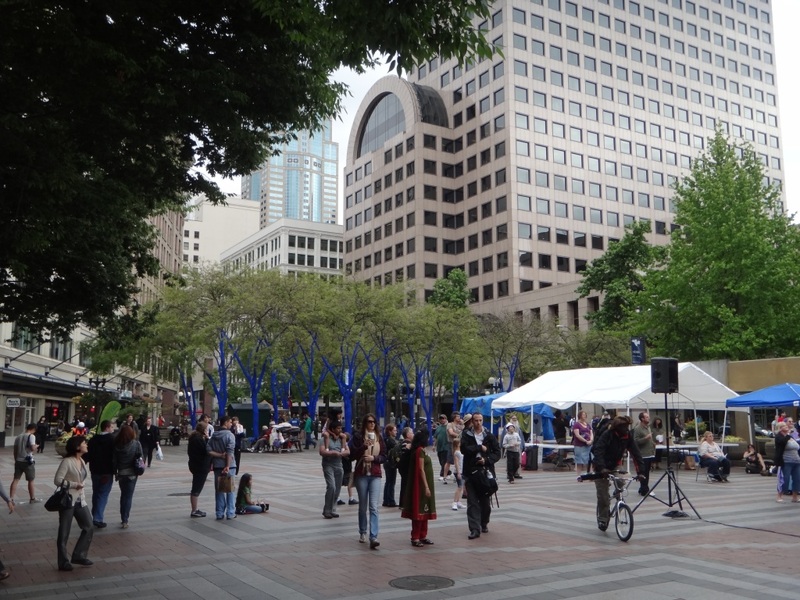 The corner of 3rd Avenue and Pine Street.